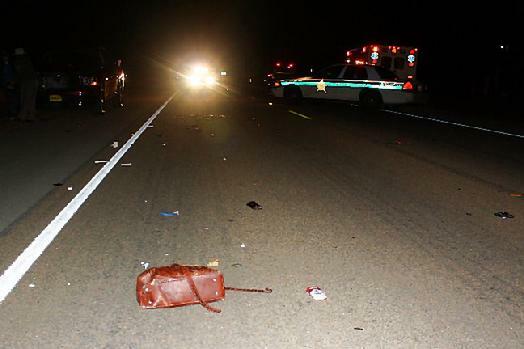 The victim's purse lies in the road on US-146. 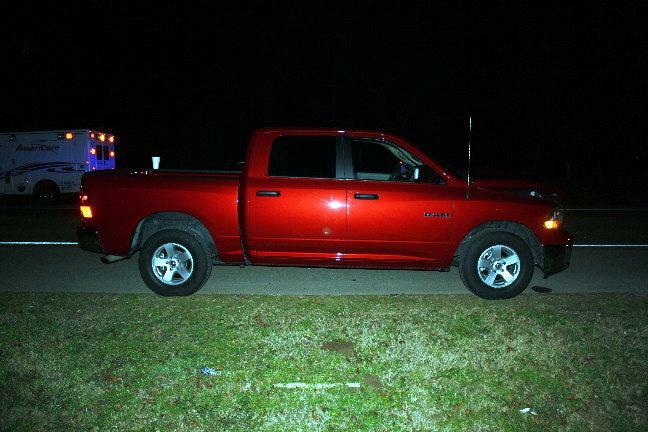 Truck/Pedestrian Fatality on US-146, LIVINGSTON, December 26, 2009 - Just minutes after 8 pm on December 26, 2009, a red 2009 Dodge Ram pickup driven by David Earl Loving, 55, of Crocket was south-bound on US-146 when, according to Loving, a person was suddenly there in front of his truck in the south-bound lane less than a mile south of FM-1988. According to the radio dispatch from the Polk County Sheriff's Office, a person was reportedly struck by a vehicle on 146 and not breathing. 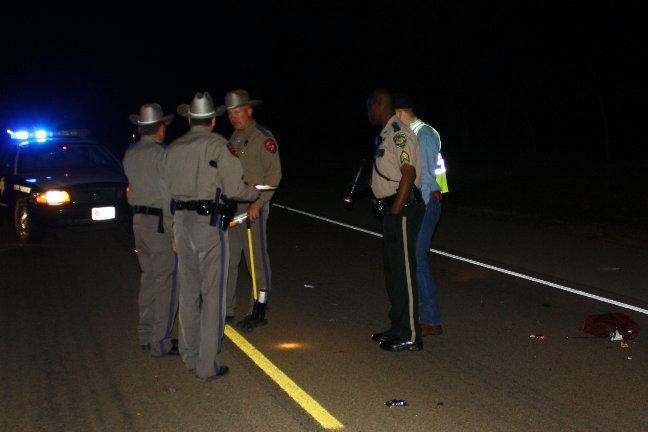 Americare Ambulance Service was dispatched to the scene along with Sergeant William Jerry of the Polk County Sheriff's Office and and surplus of DPS Troopers including Trooper David Flowers. According to DPS the vehicle was traveling within the speed limit (between 60 - 65 mph) when the accident occurred. The pedestrian, (a 43 year old female whose name is being withheld pending notification of relatives) was knocked approximately 200 feet and came to rest in the south-bound lane of 146. 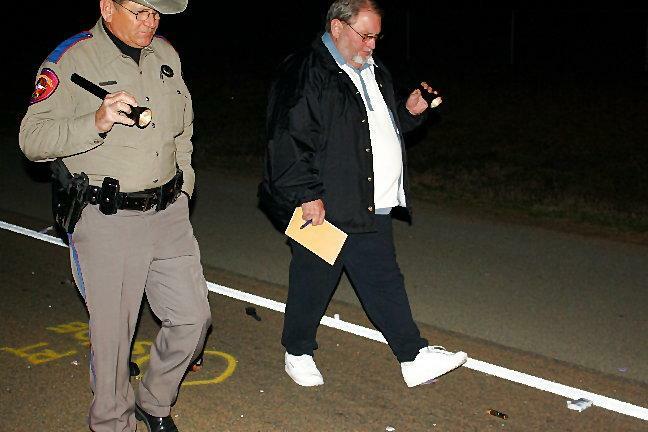 Justice of the Peace, Precinct 2 David Johnson performed an inquest at the scene. All traffic on 146 was blocked during investigation and cleanup. A first call car from Cochran Funeral Home recovered the body of the victim. Loving did have insurance. A rollback wrecker from Fawbush Wrecker Service recovered Loving's truck and it will be stored at Fawbush Body Shop in Livingston. 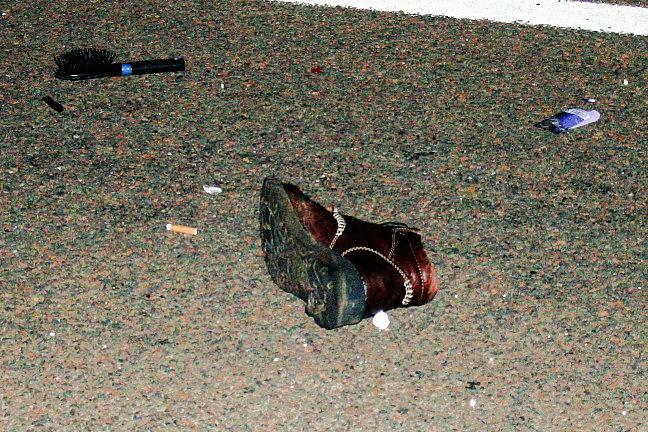 Why the victim was standing in the middle of the road (wearing dark clothes) remains under investigation. The scene was cleared by 10:10 pm. 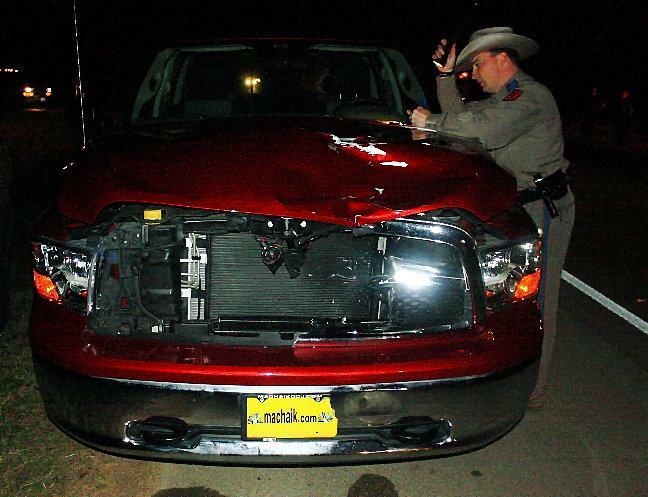 The truck was traveling within the speed limit (DPS Trooper David Flowers investigates). 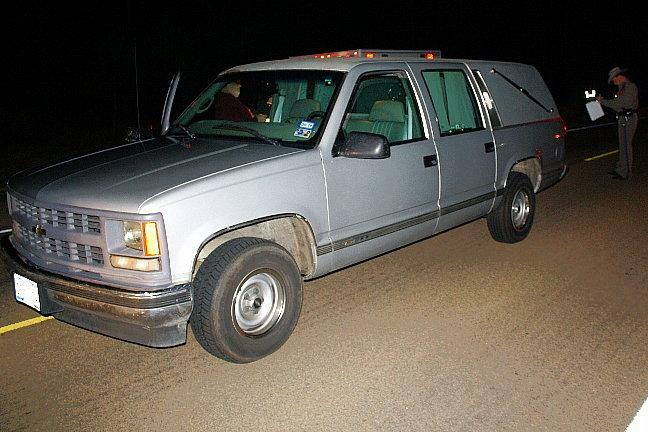 A first call car from Cochran Funeral Home recovered the victim's body. 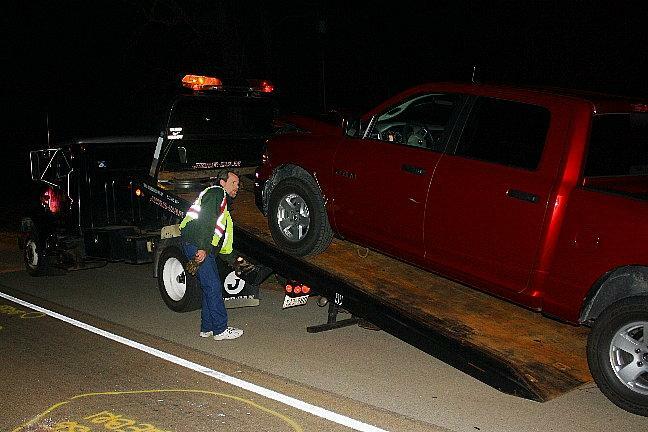 A rollback wrecker from Fawbush Body Shop recovered the Dodge truck.